We take great pleasure in introducing ourselves as Umiya Tubes .Ltd. Incorporated in the year 2013 with the objective of manufacturing Stainless Steel Decorative Tubes & Industrial Pipes.Rwly heavily on impeccableengineering and precision based manufacturing. The diameter of these pipes ranges between 9.52mm to 76.2mm, the thickness on the other hand confirms to range of 0.4mm to 3.0mm. 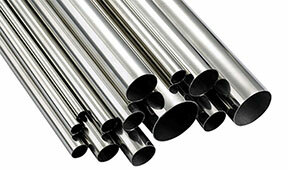 At Umiya Tubes, We aspire to design and manufacture such pipes and tubes that find application in varied industries. Our meticulously quality checked products can serve such business and application as chemical plants, dairy plants, ball bearings industries, petrochemical plants, solvent extraction plants, boilers, furniture industries, gas & oil distribution pipe lines, oil industries, refrigeration, automobile industries, construction industries, building sewage, kitchen equipments, heating elements pipes, LPG products.Electrical Applience, seamless pipes, Instrumentation, Food & beverages, Railways etc... The installed capacity of our plants is 3000 Tons per annum. Our team comprised of qualified professionals who specialized in varied domains. Our directors boast of a rich past experience and handle various different aspects of the functioning of Umiya Tubes.